Diamond engagement rings have charmed many generations of people across the globe for decades. Earlier, it was only considered as the legacy of the rich and famous. It was then considered as the status symbol of the wearer, but today diamond rings echo more with the beauty and commitment of romantic endeavours. Way back in the 1930s, the diamond industry was going through a rough patch when the world economy was in turmoil and diamond engagement rings were nothing less than a luxury. It was in 1938 that De Beers thought of changing the perspective of people about diamonds and engaged an advertising agency for the diamond campaign. They started circulating the idea that diamonds symbolise love and romance and ran this extensive campaign for years. The campaign was super successful as they succeeded in engraving the idea so deep in the minds of the people that diamonds are seen as a symbol of love till date. 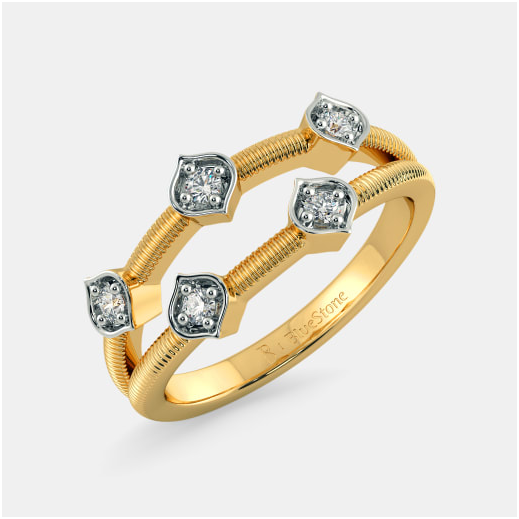 People prefer to buy diamond rings, which are quite expensive depending on the carat of diamond you go for besides the other three Cs, which are cut, colour and clarity. The question that often comes up is if it is worth the investment. Well, as you are giving it to your future spouse, it symbolises your love and commitment to her and thus is definitely the best investment of your life. This is the emotional investment you are making and shall reap the benefits of it. If you are buying diamond rings from a reputed jeweller or diamond chain, then they guarantee full exchange of the diamond’s value. Unlike gold where you can sell and get the money back in cash, the diamond players exchange your stone for a different one. Let’s say you bought an 80-cent ring and later you want to exchange it for some other ring. You can take that ring to the same jeweller or chain of jewellery shop with the bill. They will value the diamond as per the current rates and after deducting some charges, which vary from jeweller to jeweller, they will exchange it for some other stone that you choose. You will then have to pay only the difference. In case you lose the original bill and the certificate that comes with the diamond specifying the 4Cs, then you might not be able to exchange it. Diamonds are expensive because they are rare. Both coal and diamonds have the same building element, which is carbon. But, diamond withstands thousands of degrees of heat and enormous pressure to become a desirable stone. Similarly, couples invest in a diamond engagement ring because they wish to overcome all the hardships that life might throw at them and come out of it victorious together like a diamond. Thus, if you see the emotional value of a diamond, it is immense and definitely worth the investment.